Suitable for almost all field crops like Wheat, rice, Pulses, sugarcane, Cotton, Soya bean, Tea, Coffee, and other fodder crops of different land forms such as mountain, downland and flat land..
Also suitable for lawn, stadium, garden and park. 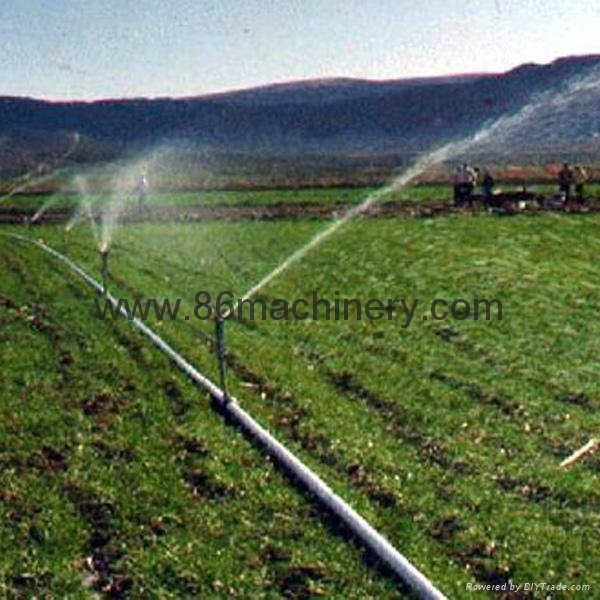 Sprinkler Irrigation is a method of applying irrigation water which is similar to rainfall. Water is distributed through a system of pipes usually by pumping. It is then sprayed into the air and irrigated entire soil surface through sprinkler heads so that it breaks up into small water drops which fall to the ground.